Stay at the conveniently located British Colonial Hilton Nassau hotel. Situated in downtown Nassau, this beautiful Bahamas hotel has a private white-sand beach, outdoor freshwater pool with ocean views, two restaurants and two bars. The hotel offers a taste of the island’s rich Colonial history, along with modern amenities for business and Bahamas vacations. Host your next business meeting at the British Colonial Hilton Nassau hotel. With over 13,500 sq. ft. of flexible function and event space, this Nassau hotel is ideal for conventions, weddings, seminars, conferences, and business and board meetings. Enjoy garden, city or harbor views from the hotel’s Guest rooms and suites. Upgrade to an Executive Room for access to the Executive Lounge which includes complimentary breakfast, refreshments and private check-in. Within walking distance of duty-free shopping and downtown, this Bahamas hotel features a rich variety of dining options. Try Aqua restaurant for international favorites with a Caribbean flair in a relaxed setting with harbor views. Mingle with other guests at the complimentary reception, held daily. Breakfast is available for a fee. Featured amenities include a business center, dry cleaning/laundry services, and multilingual staff. A roundtrip airport shuttle is provided for a surcharge (available on request), and free self parking is available onsite. Welcome to the Holiday Inn Express & Suites in beautiful Nassau Bahamas The Holiday Inn Express and Suites Nassau is in a prime location only 10 miles from the Airport. Just step out of our front gate and walk across West Bay Street to the beautiful Junkanoo Beach, where you can enjoy the Aqua blue water of the Atlantic Ocean while relaxing in one of our complimentary beach chairs & beach towels provided by our kiosk staff, an amenity exclusive to our guests only. Cabanas are also available for a fee. Discover everything Downtown Nassau has to offer. 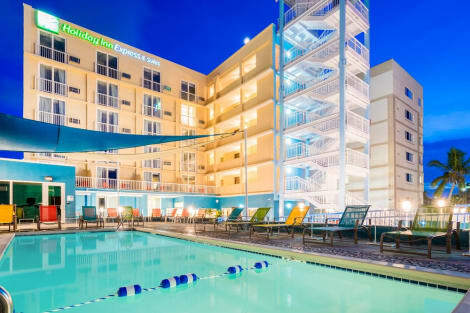 Holiday Inn Express & Suites Nassau is a short walking distance from shopping, dining, art, entertainment, night life and the open air Straw Market where local artists display and sell their art. Our prime location offers easy access to different places in the area such as the world famous fish fry, fort Charlotte and Ardastra Garden & Zoo. Whether you're visiting Nassau for business or leisure, your room at the Holiday Inn Express & Suites Nassau is your personal retreat. 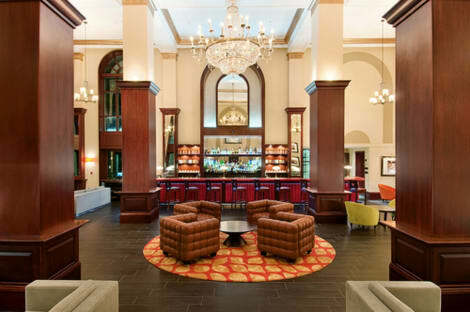 Our hotel offers complimentary high-speed internet, 24 hours Business Center & a sundry shop. Each morning, wake up to the delicious complimentary upgraded continental breakfast buffet to start your day in the best way. Enjoy some worry free days relaxing at the outdoor pool that overlooks the beach and garden while having a refreshing beverage from the poolside bar. Grab a bite to eat at Berthas, a poolside restaurant which features a bar. Quench your thirst with your favorite drink at the poolside bar. When you stay at Bay View Suites Paradise Island in Paradise Island, you'll be near the beach, within a 5-minute drive of Cabbage Beach and Paradise Island Golf Club. This aparthotel is 7.9 mi (12.8 km) from Cable Beach and 1.2 mi (1.9 km) from Ocean Club Golf Course. Enjoy Asian cuisine at Shima, one of the hotel's 3 restaurants, or stay in and take advantage of the room service (during limited hours). Snacks are also available at the coffee shop/café. Relax with a refreshing drink from the poolside bar or one of the 3 bars/lounges. Cooked-to-order breakfasts are available daily from 7 AM to 9:30 AM for a fee. Surrounded by white sands, blue waters and the bustling capital city of the Bahamas, Nassau hotels are the best way to experience a paradise island like no other. 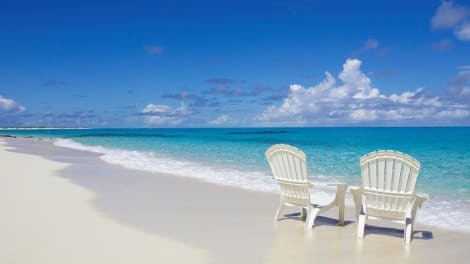 Mention the Bahamas and the first image to come to mind will most likely be opal blue waters lapping against white sandy beaches. The beaches in the Bahamas are legendary and there are literally miles upon miles of beach here for you to explore. With 300 days of sunshine a year you're pretty much guaranteed to be able to spend the days basking in the sun on the shore. Cable Beach is one of the better-known beaches, named due to the submarine telegraph cable that comes ashore here. The warm waters around Nassau are perfect for watersports. If you're looking to try your hand at diving, Stuart's Cove is one of the best providers of scuba diving and snorkelling experiences. From Stuart Cove's Dive Bahamas to Stuart Cove's Extreme Shark Adventure, there are lessons for divers of all experiences. The Bahamas Diving Association is another well-respected company, providing expeditions to the sunken Spanish galleons and coral reefs that surround the island. For an once-in-a-lifetime chance to swim with dolphins make your way to Dolphin Cay at Atlantis, Paradise Island where you can try everything from a dolphin deep-water swim to playing with sea lions. If you're travelling with kids, one of the best waterparks on the island is Aquaventure, also located at Atlantis, Paradise Island. This sprawling waterpark features 20 swimming areas and a number of exciting water slides. Away from the water there are plenty of shopping opportunities to enjoy on Nassau. Paradise Island's Marina Village has shops selling everything from souvenirs to fashionable clothing while Bay Street in the city centre offers a more authentic Nassau experience. As well as trinkets and Havana cigars, on Bay Street you'll find the renowned Straw Market and a collection of stalls offering handmade gifts and craft items. Back on Paradise Island is the Bahamas Craft Centre – another great place to get hold of local Junkanoo art and conch shell jewellery. To experience a little more of the local culture and history you'll want to get away from the theme parks and water slides and head to the National Art Gallery of the Bahamas. Here you'll find an impressive collection of visual art housed in a restored neoclassical mansion. The 19th-century Government House is another important historical point of interest and a fine example of Georgian Colonial architecture. Painted a bright pink, the house itself is hard to miss.